Diane is a financial advisor who over the past ten years has built her own financial planning practice at First Allied. She holds Series 6, 7, 63, and 65 licenses along with Life and Health Insurance licenses. 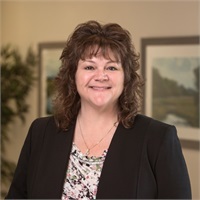 Diane is a Registered Tax Return Preparer with the IRS and has run her own successful tax business for the past 20 years, Hart Financial Services LLC. Diane’s tax expertise has helped her clients alleviate the stresses of estate planning while helping them achieve their financial goals. Diane and her husband, Randy, have two beautiful daughters and enjoy spending their time with family and cheering on Randy at the race track.